Flowering altar decorations can be done later if you wish, or if you have difficulties with a large enough delivery vehicle. Your basic greening is completed and could be flowered in now. 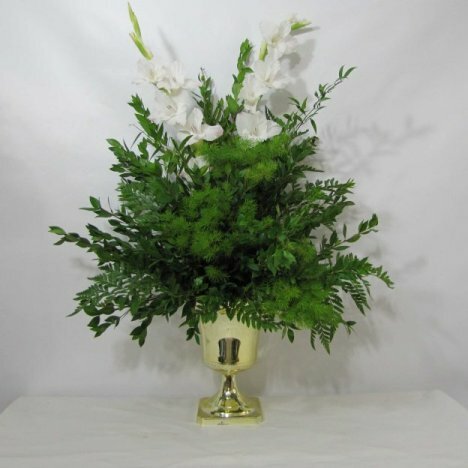 I do like to add in more different types of greenery, because the variety of textures and colors add as much to the design as the flowers do. For example, ming fern has a lovely light green color that contrasts with the darker greens. Ming fern is a favorite wedding greenery of mine. I order it so I can use it primarily to add texture and color to bouquets, corsage and boutonniere work. 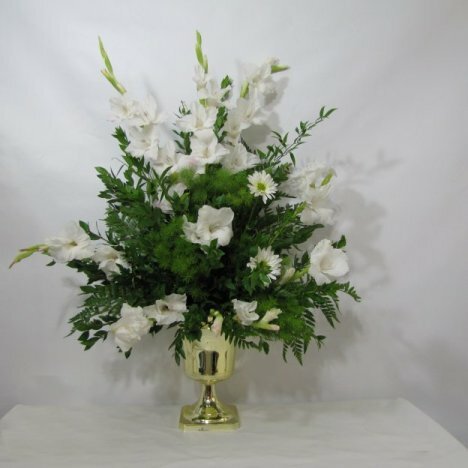 Use the extra stems in the bunch to add a great detail to your church designs as well. Fresh ming should be a lighter green and have firm feathery type needles. Keep ming in water and well misted, or it may turn dry, yellow and shatter when touched. 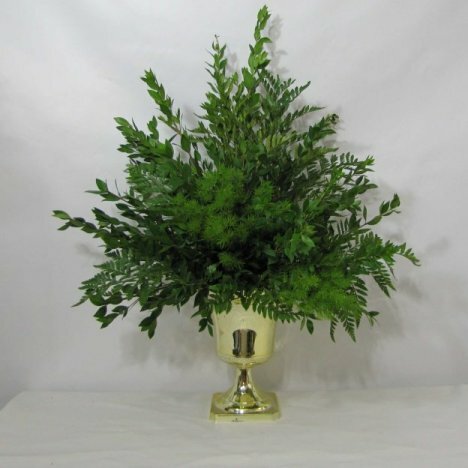 Just one or two stems placed directly in the center of the other greens is enough to give this urn an extra "wow" factor. Don't obsess about being real symmetrical at this point. The design needs a balanced look - but not everything needs to be perfect and look exactly the same. See how I placed two stems in the center and then one off to the side at the bottom. 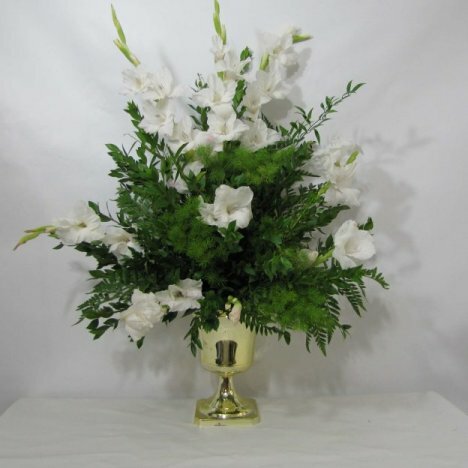 Gladiolus coming in a large variety of beautiful colors and look beautiful in wedding flowers. The tall majestic lines are a great way to quickly fill out a spacious floral that graces your wedding church. Take advantage of the length to draw the eyes upward and outward. 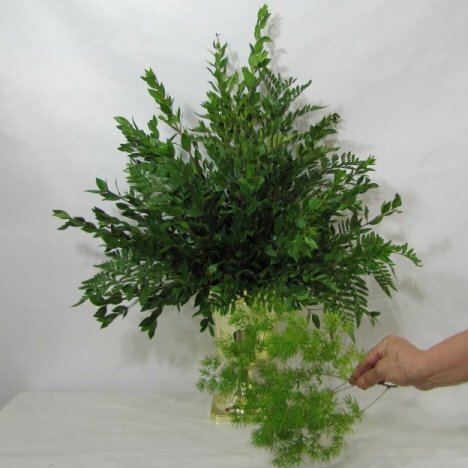 You can cut the stems in two pieces to fill in towards the center of the bouquet. 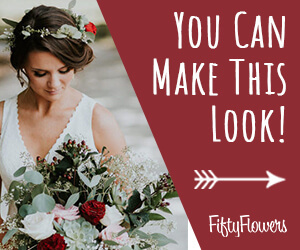 Don't be afraid to bury some of the blooms deeper into the bouquet towards the center. You should also be sure to bring the stems out towards the front outwards to give a three dimensional look to the design. 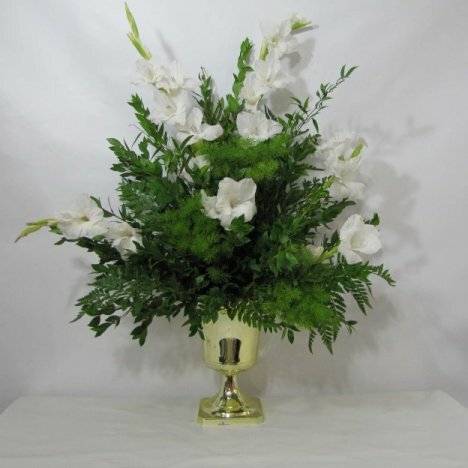 Evenly distribute the gladiolus from all sides, radiating out in different directions from the heart of the altar spray. 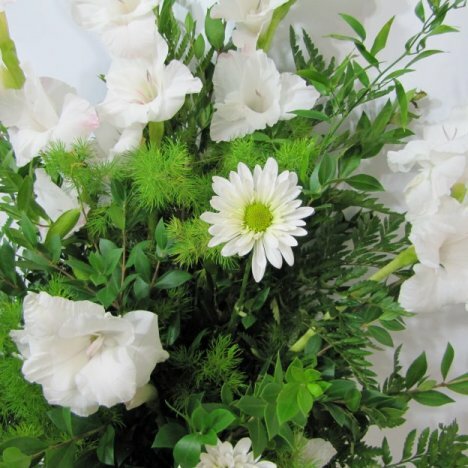 If you use daisies in large wedding florals, it may be necessary to extend the stem so they are longer. 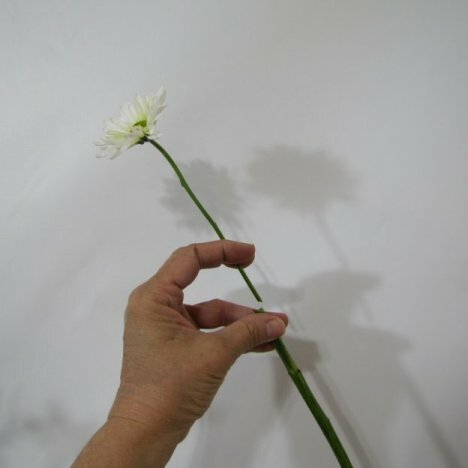 Daisies and other members of the chrysanthemum family sometimes have several shorter laterals on one long stem. This simply means one stem - shooting off into several sprays of flower heads. You can use extended water tubes. 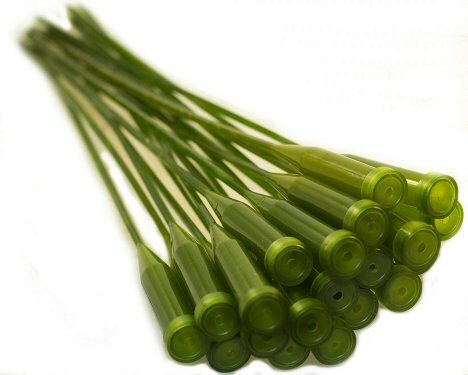 The wood stems make flower stems longer, placing the cut end of the flower into the water tube and the wood stems into the wet foam. If you don't have extended water tubes, you can use an old florist trick in a pinch. 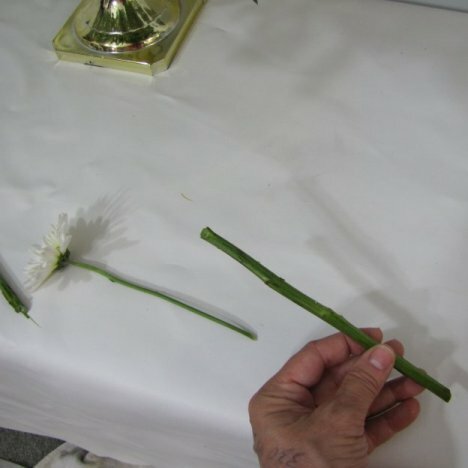 Using a discarded daisy stem, cut the ends evenly with a sharp knife. The nearer the flower head, the narrower the stem becomes. You can simply fit the shorter stem into the hollow center of the longer cut off end. The hollow stem can still pull up water and nourish the smaller daisy stem fitted into it. 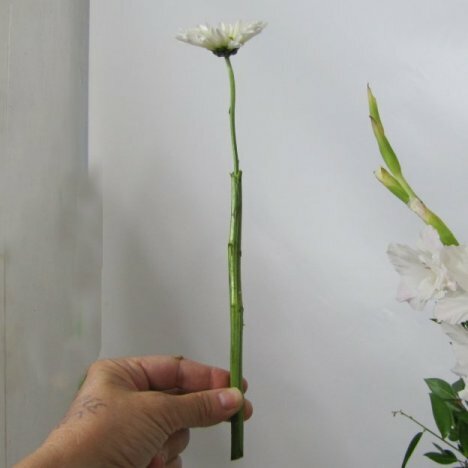 This simple little florist trick allows you to separate those clusters of daisy stems on one stalk and spread them out in the floral in different areas. Place the flower heads randomly throughout the floral, burying some of the heads deeper into the design to give depth and interest.